It takes hard work and a total commitment to yourself and your game. But if you remain dedicated, we can make you one promise – we will make you mentally and physically ready for the basketball opportunity of your lifetime; whenever it presents itself. For some of you, that means making the high school team. For others it is getting that Division One scholarship to college. And for a select few, it means going professional, where someone is writing you a check for what you can do on the court. I’ve traveled this road a long while. That is why I know exactly what it takes, and definitely what it doesn’t. But the reason I keep doing this is because I absolutely love helping a player realize his maximum potential. So, if you’re interested in letting your game do the talking for you; let us get you headed in the right direction. Now, I will warn you… our game has two components. It is a power game as much as a fundamentals game. But if you possess the desire to be everything you can be on the court and off; come on down and we’ll show you the light. Eventually the spotlight will be shining on you! The Player Development Program (PDP) is designed to concentrate on the overall aspect of a players game. The goal for every player is to walk away stronger, faster, and improve their basketball IQ and skills. 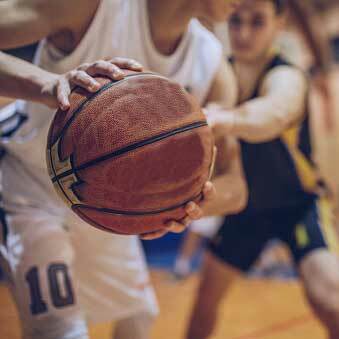 The Junior Warriors Basketball League is designed for all players (ages 5-18) who are seeking to develop, have fun and compete in a league environment. The B3 Ambassadors Travel Basketball Club was developed to help with student athlete’s growth in all areas through our Travel Basketball Club & Training Academy. With camps offered at multiple locations, Mike Allen Sports can help players in improve their skills on the court while encouraging growth off the court.